Brewer Description: (from bottle) This unique, tenth anniversary edition is aged for a full two years (three times longer than normal) in casks formerly used to mature Highland Park’s legendary 12 Year Old Single Malt Scotch Whisky, allowing even more whisky flavours to imbue the ale. 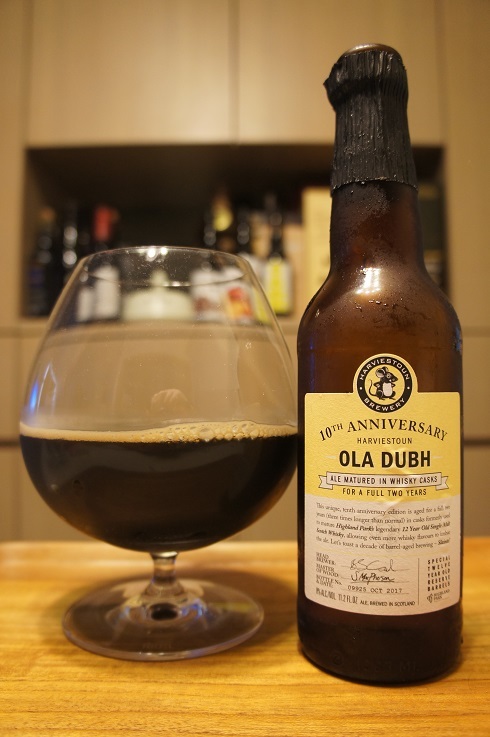 Let’s toast a decade of barrel-aged brewing – Slainte! Intro: A 330ml foiled and capped bottle, bottle no. 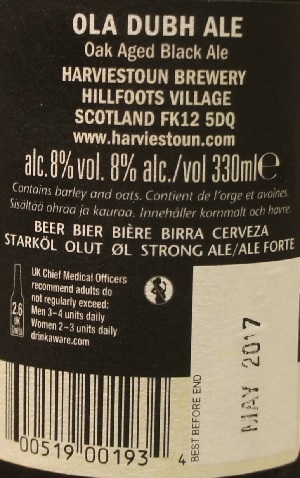 09925, bottled in October 2017, and best before end of February 2021. Poured into a snifter glass. Aroma: Chocolate, whisky, raisin, fig, wood, caramel, with light peat and smoke. Taste: Watery, whisky, roasted malts, chocolate, raisin, caramel, fig, dried fruit, with light roast and smoke. Overall: My first impression was that the body was so light that it drank like watered down whisky. 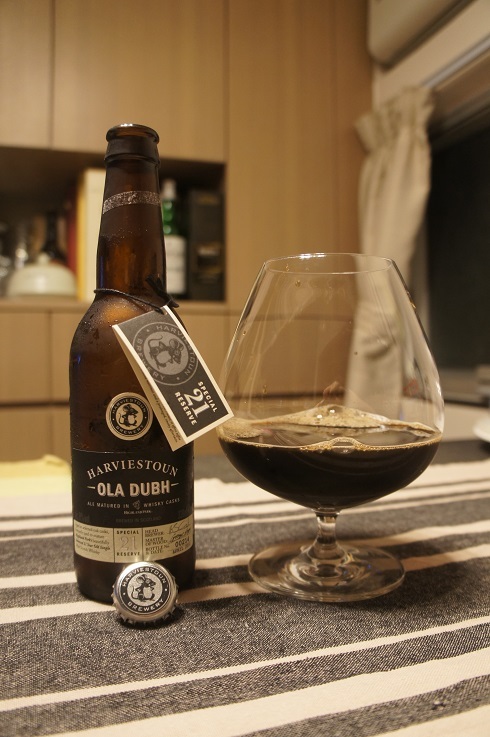 It was better after it warmed as the complexity and roastiness came out and balanced the wateriness to the point that it was ok and drinkable. I easily preferred the Special Reserve 21 version though, but I am looking forward to trying the other varieties. A heavier body would have improved this. Other Notes: Aged in Highland Park 21 Year Old Single Malt Scotch Whisky casks. 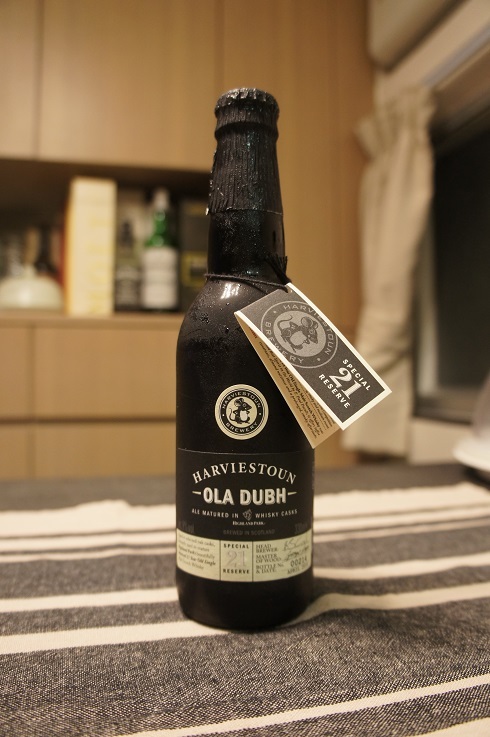 Brewer Description: (from bottle) Aged in selected oak casks, formerly used to mature Highland Park’s beautifully balanced 21 Year Old Single Malt Scotch Whisky. 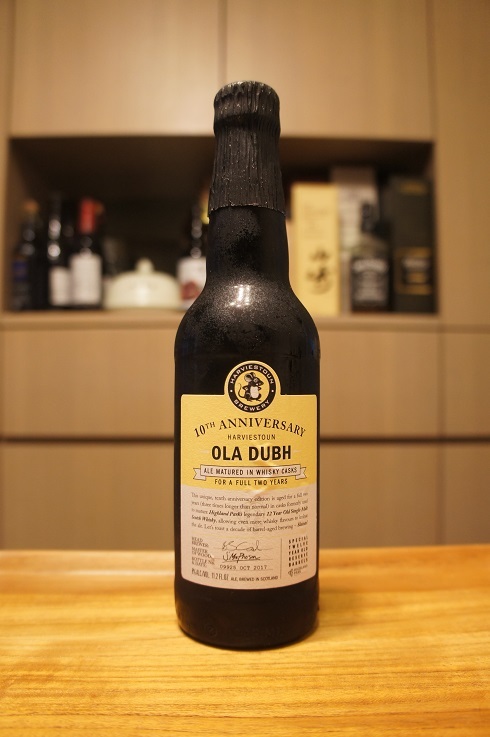 (from tag) Ola Dubh (or ‘Black Oil’) is so named because it is gloopy and viscous. This limited release has been matured in casks from Orkney’s award-winning Highland Park distillery to add complementary whisky notes to what is already an amazing brew. It is chocolatey with a roasty, bittersweet aftertaste. Intro: A 330ml foiled and capped bottle, bottle no. 00214, bottled in April 2014, and best before end of May 2017. Poured into a snifter glass.